Last week, we made some jam. The first batch is runny, but delicious! 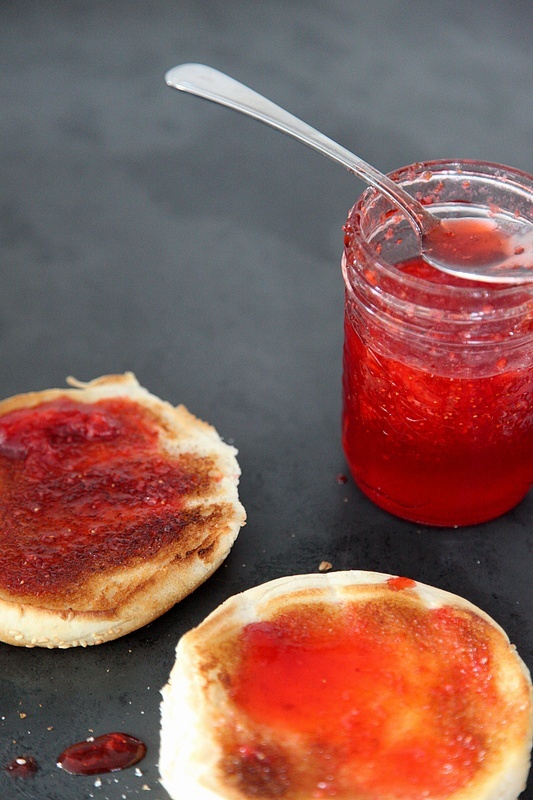 Did you know jam is 1 part berries to nearly 2 parts sugar!? How did I not know this? I will give it more respect from now on! Yummyyy...this would be amazing on a toasted English Muffin. I have wanted to try to make jam for a while now... last year I tried canning peaches and felt super domestic. ;) I believe that jam is more than half sugar! That explains why I like it so much! Last year I made concord grape jam with plums, it was AMAZING. As a random to the homemade jam. 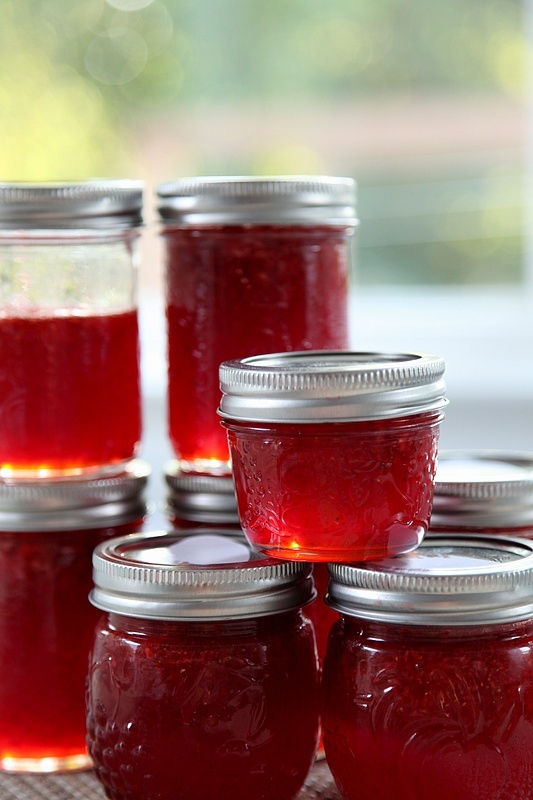 I love homemade jam! Yum! 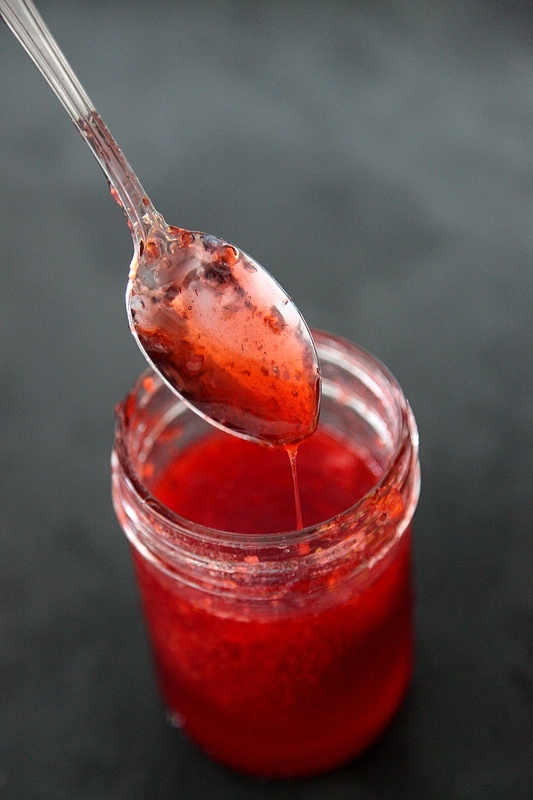 I made some strawberry freezer jam last week and it couldn't be easier! You don't have to cook the berries and it uses one part sugar to four part berries. My favourite type of jam!